Welcome to ReachMD. This special edition of The Pulse of Emergency Medicine is supported by the American College of Emergency Physicians. Here’s your host, Dr. Matt Birnholz. Thousands of emergency physicians will gather this year in San Diego for ACEP18, hosted by the American College of Emergency Physicians, which will feature keynote speakers, networking events and more than 350 courses and labs, but one particular program of interest this year will be medical waiver training for opioid addiction treatment. On today’s show, we’re going to uncover what this program is all about and why it’s so important in emergency medicine today. This is The Pulse of Emergency Medicine on ReachMD, and I’m Dr. Matt Birnholz. Joining me is Dr. Eric Ketcham, the Medical Director of New Mexico Treatment Services in Farmington and Espanola, New Mexico. Dr. Ketcham will be one of the instructors leading the training for this course in San Diego. Dr. Ketcham, welcome to the program. Welcome, Dr. Birnholz. Thank you. Great to have you with us. So, to start off, tell us a little bit about yourself and how you came into this subspecialty of addiction medicine as an emergency physician. Well, this really began about 8 years ago, and I’ll try to keep this relatively brief, but as the medical director of a fairly busy emergency department up in Northwest New Mexico, we were suffering many of the same ails that have affected many emergency departments around the country as communities have had a steadily growing problem with an increased incidence of opiate use disorder, opiate addiction, opiate overdoses, a lot more opiate seeking in the emergency department, and at the time what we were—in the emergency departments, meaning the emergency physicians, the emergency nurses, we were really frustrated with the rapidly growing number of patients who were seeking opiates in the ED, and this was really affecting the morale in the emergency department. And at the same time, remember, our culture nationally was still caught up in the pain is the 5th vital sign, have to believe everybody’s pain, have to treat their pain, and the reality was that so many of these patients were really suffering from opiate withdrawal, and we really didn’t understand that very well. 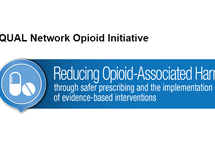 So, I worked a lot, hundreds of hours, developing this very robust opiate-seeking recidivism reduction program, and it was really all about being able to identify patients who appeared to be opiate-seeking and being able to limit the opiates that were used in the emergency department. This was very successful, and it really improved morale for the docs and nurses, and dramatically reduced the number of opiate-seeking visits and the amount of opiates used in the department. However, unfortunately, it did not reduce the rate at which people were dying in the community. And then along the way, I also ended up getting involved in doing correctional medicine in the community as the hospital ventured into that for a while. This was very eye-opening, and this really thrust me into trying to figure out another way to solve this problem and so really began focusing on trying to institute addiction treatment in the ED, and this lead me, ultimately, to the frustration of realizing there was no place to send my patients even if we did do that. And at this point we had a methadone clinic that had opened in our community, and then shortly after it opened, within less than a year, it was about to close because the physician had to quit and the clinic was failing, and one thing led to another, and essentially my efforts to keep this clinic from closing I somehow wound up as the clinic medical director in this project where we affiliated with the hospital, and that has been over 2-1/2 years and something I thought I would do temporarily just to keep that clinic running, and before I knew it, somehow I really developed a passion for this and then gradually passed the baton and was no longer the medical director of the ED and really threw myself into addiction medicine. Sorry, that’s kind of a long story. That was excellent. And that path for your career trajectory makes perfect sense given the circumstances of opioid addiction in this country throughout the last several years, and it also provides a really compelling primer for talking about this course, in particular, which you’re helping to lead. So, maybe you can give us some background on this medical waiver training for opioid addiction treatment program and what it entails, specifically. So, this course is the standard 8-hour course that uses the curriculum that was developed by the AAAP, which is the American Academy of Addiction Psychiatry, and it’s a curriculum essentially that has been used for several years now. It is the same course that I took 7 years ago when I first got my X-license. Of course, the X-license is the license that you need to prescribe buprenorphine for addiction. And the course I think is actually very informative. It really provides a different perspective about opiate use disorder that most emergency physicians really don’t see in our practice. Particularly, one of the more, I think, important parts of the course is the patient panel where you really will hear patients talk about their experience and how they became essentially addicted to opiates and the things they did while they were suffering from their addiction and how their lives have changed as they have gotten into treatment, and I think that that is really eye-opening, and I hope that we’ll have that same impact. And for our listeners who are interested already just based on that background, where will you be leading this training program for attendees? So, this program is going to be in San Diego, so this is going to be September 30, 2018. This is going to be an all-day course, so it’s 8:00 a.m. to 5:30 p.m. There will be a break for lunch. The course is going to be taught by myself, together with my colleague Dr. Kathryn Hawk. She is an emergency physician, works at Yale. She has also done a lot of research on injury prevention, HIV, opioid addiction, and she has also recently, kind of like myself, has become board certified in addiction medicine, so we’ll be teaching the course together. The course is open to not just emergency physicians but to really anybody who wants to take the class—nurses, medical students, residents and other physicians. They don’t have to be emergency physicians, obviously. Excellent. And just to reiterate on that point, this training is open to practitioners outside of emergency medicine, although it is happening at ACEP18. Is that right? Absolutely. While we certainly expect… Since it’s going to be at our National Emergency Medicine Conference this year, we assume that this will be predominantly attended by emergency physicians or emergency physicians in training, but it’s certainly open to anyone who wants to take the course. Which makes a lot of sense given the sheer size, scope and burden of this issue, which clearly is not just exclusive to emergency medicine alone; though to be fair, emergency physicians certainly see a fair amount of it. For those just tuning in, this is The Pulse of Emergency Medicine on ReachMD, and I’m Dr. Matt Birnholz. I’m speaking with Dr. Eric Ketcham on the upcoming medical waiver training for opioid addiction treatment program at the ACEP18 conference in San Diego. So, Dr. Ketcham, I’d like to dive a little deeper into the short- and long-term goals for instituting this type of program. Why don’t we start with the more immediate timeframe? What would you and other instructors want trainees to take away in the first days and weeks following this course? First of all, what I really hope our attendees take way from the course is just a broader knowledge of opiate use disorder, hoping to change some of the stigma which I think we inherently adopt as physicians; and particularly as emergency physicians, we see mostly patients with opiate use disorder at their worst, when they’ve had an overdose, when they’re in severe withdrawal, when they’re suffering some other infectious complications or traumatic complications from their opiate use disorder, so unfortunately, we do develop a certain bias toward these patients, and I’m hoping that we can break that bias down a little bit and change that stigma that we, particularly as emergency physicians, I think, have for patients with the opiate use disorder. And more than that I am hoping that we can also pass on the knowledge of how this really is an organic brain disease, that this is really about a chemistry imbalance, and that treating opiate use disorder is very different from treating other substance use disorders. Particularly, it is different from treating alcoholism, which is, I think, what we’re, I guess, most accustomed to and what we understand the most when we talk about attending a 12-step program and attending Alcoholics Anonymous, and there is just not the same parallel with opiate addiction. It does not respond in the same way, whereas the 1-year rate of surviving if a patient is complaint with attending Alcoholics Anonymous, for example, is about 30%, but participating in Narcotics Anonymous, that’s only about 5%, so it really is a medication that requires a medical intervention. It’s a medical disease, and I’m hoping that we can have our colleagues really understand that we need to start approaching this disease like we would approach diabetes or hypertension or any other medical illness. Exactly, and I imagine one of the most important steps, as I listen to you right now, concerns the language we use, or lexicon, in just calling it opiate use disorder. That’s a term that probably isn’t universal parlance, but it’s definitely making waves and starting to penetrate clinical practice. Is that right? I think so. I mean, I think that addiction is still an important term. When I see patients in my clinic, we certainly talk about addiction. However, and this is in part, part of the process of attending Narcotics Anonymous, our patients come to us and they identify themselves as addicts, which I think certainly has a negative connotation to it and implying that there is some personal choice that they’ve made that they keep making which is a moral failing or something, so we do need to change the dialog. We need to change the terminology but understanding that addiction is a very real thing, but opioid use disorder is also very much a medical illness. And, Dr. Ketcham, coming back to this course, if we take the broader point of view, what would you say are some new insights or practice changes that you would love to see instilled in these attendees over the longer course of their entire careers? Well, first of all, we hope to improve the treatment of acute opiate withdrawal. This is something that is so much better managed using a partial agonist, such as buprenorphine, as opposed to using non-agonist treatments, which are marginally effective, do not help begin the patient on the road to treatment. So, I’m hoping that we can change the way we manage acute opioid withdrawal. I’m hoping that we can get more emergency physicians, more emergency departments, initiating opiate addiction treatment in the department and bridging those patients to treatment when they leave the department. We know that if we treat patients with the buprenorphine, for example, in the emergency department, that they are twice as likely a month later to be in treatment and 1/3 less likely to have had to require inpatient addition treatment. Interesting. And when I come back to that training idea, you told us that you, yourself, received training in this field about 7 years ago. Do you see this kind of training for opioid addiction and opioid use disorders expanding or evolving over time? Well, in fact, while we do see a lot more expansion of this training, we see a lot more interest in this education, and we’ve seen, for example, at our annual symposium, ACEP 17, ACEP 16, ACEP 18 this year, we see an increasing number of courses about opiate use disorder and the treatment of opiate use disorder, but we’re also getting, like I say, more control over the curriculum. So, although we’re going to be teaching the traditional curriculum for the course, as it’s been fairly set for several years, we are partnering with the American Academy of Addiction Psychiatry to modify the curriculum of this class to be specific to the emergency department so that we can maximize that 8 hours of education, which we hope will be not only in an 8-hour format but also hopefully in a 4-hour online, 4-hour live format that we can use in our future symptoms. It’s not just at the national conference but hopefully at regional symposiums as well as just local coursework. And if we can work on that curriculum, as we’re going to… We actually appointed 6 emergency physicians around the country with an extensive knowledge about opioid use disorder. We’ll be coming together, in fact, at the beginning, I believe, in November, so the month after our national conference, and working on that new curriculum with the blessing of the AAAP. 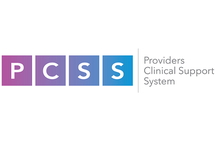 By April, we hope to roll out that curriculum and teach the course with a specific emergency department focus at our Leadership and Advocacy Conference in April and proceed from there with this revised curriculum, so I think it’s real exciting. That’s great, and perhaps, then, as a takeaway comment, can you talk to our listeners about how they should go about registering for this evening, what the cost of the program would be, any other important details that you think they should know? So, I believe the registration can be done online at the ACEP website, just in the same places where attendees would normally register for any other coursework that’s going to be occurring at ACEP 18. There’s a page on the website that’s all about preconferences, and this is easy to find. It costs $150 for this additional course. I think that’s about all there is to it. There’ll be, of course, the opportunity for them to take an exam at the end of the day and sit, essentially, for the X-waiver licensing exam and obtain that X-waiver license before the day is over. 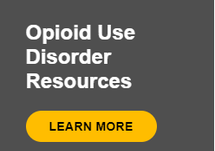 With those details in mind and with this obvious critical need for addressing opioid addiction as competently as we possibly can, I do want to thank you, Dr. Ketcham, for helping lead this new training course for physicians. It was great having you on the program today. I’m Dr. Matt Birnholz. 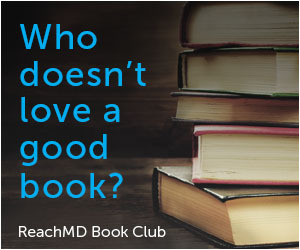 To access this and other episodes, visitwww.ReachMD.com where you can Be Part of the Knowledge. Thanks for listening. You’ve been listening to The Pulse of Emergency Medicine on ReachMD. 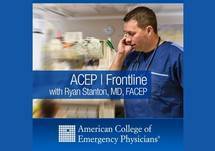 The preceding program was supported by the American College of Emergency Physicians. If you have missed any part of this discussion, visit ReachMD.com/EmergencyMed. Thank you for listening. Join thousands of other healthcare professionals combating opioid abuse by participating in ACEP's on-site medical waiver training program. 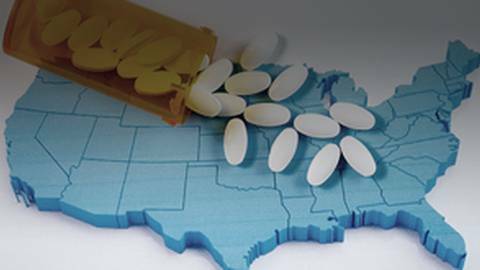 Tune in as Dr. Matt Birnholz discusses this learning opportunity for all healthcare professionals with one of the instructors of the course, Dr. Eric Ketcham, who has witnessed a growing number of patients in the emergency room suffering from opioid withdrawal.